Usually by this point in the year I’ve done most of my Christmas shopping and mailed out Christmas cards. This year, I’ve done almost nothing, I have no idea what anyone in my family wants for Christmas, and I’m not sure Christmas cards will be a thing this year. Honestly, it all feels pretty overwhelming. I’m not going to be very helpful if you’re looking for gift ideas for kids (although really…don’t buy a Scruff-a-Luv...that thing is trash), or the men in your life, but I thought I’d give you some ideas if you wanted to put together a gift to honor the holy hustler in your life. 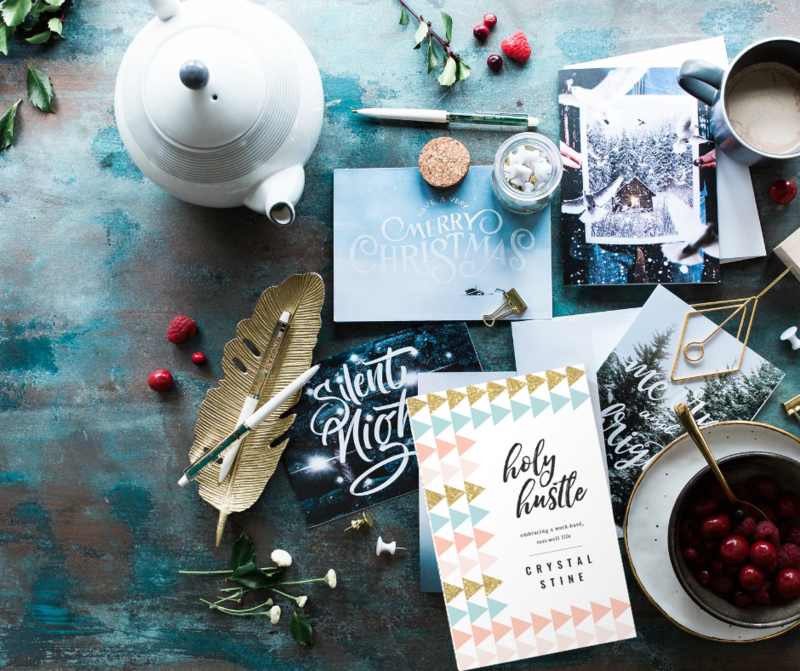 Pop a few of these into a cute gift basket and you’ll not only have a gift they’ll love, but one that also supports the holy hustle of other business owners. Winning! The “You’ve Got This” box from Surprise Gift Co. BONUS: You could also pop in a giftcard to Starbucks (or their favorite local coffee shop), buy the writer in your life a subscription to Tricia Goyer’s “Write That Book” group, or grab a giftcard to their local spa so they can go spend some time resting well. What are YOUR favorite gifts to for the holy hustlers in your life?